I first met Dr Lynne Russell in 2013 when she was a speaker for a Preventing Māori Suicide Webinar Series hosted by the Mental Health Foundation at Victoria University of Wellington where she worked. She spoke with passion about suicide prevention and postvention, a topic close to her heart due to the tragic circumstances of a whānau member suffering from momori (depression) and finally taking his own life. 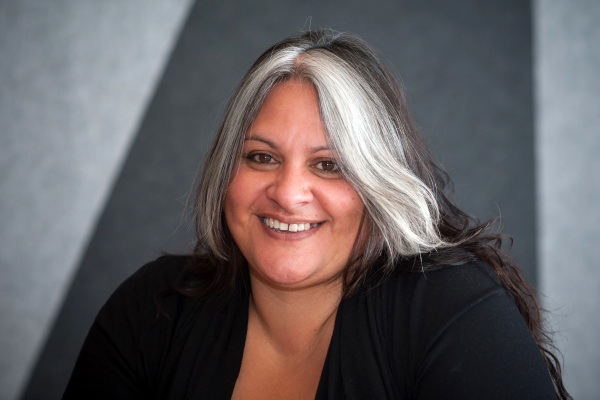 Her passion and drive to educate colleagues, communities and Crown agencies around mental wellness and resilience is paramount; she says “it’s the key to a pathway for whānau to flourish". Lynne continues that work today in her mahi for the Health Promotion Agency as their key mental health researcher, and sole Māori researcher. In 2015 she did a piece of research1 in suicide mortality where she reviewed all the suicides of rangatahi Māori aged 15 to 24 years who died between 2007 and 2011. This work took a toll on my friend, because of the closeness to her of this kaupapa having lost multiple whānau members to suicide, because of her ethical and cultural need to ensure the stories of these rangatahi were respected, and as well the extremely short timeframe to have this important research done and dusted. Through the process of this research, I became her cultural adviser. When I saw her troubled by some of the content, tears would run down her face, her breathing would become abnormal, and sadness would overcome her, showing in her face. I would ask her to switch off her computer, then say a karakia (prayer) over her, and then get her to take a moment to catch her breath, to allow her manawa (heart and breath) to align with her wairua (spirit, soul), hinengaro (mind, awareness) and tinana (body), until I could see her rhythm returning. Lynne and I have continued to work together on many mental health and suicide prevention and postvention research projects since. I have an awesome respect for her as my friend and colleague, her mahi, her gentleness and spiritual approach to people is awesome to boot.